A new year brings new beginnings. If you’ve been walking through the Davie Village over the holidays, you’ll have noticed that change is afoot at 1340 Davie Street. And as of today, the hardworking folks at the Gordon Neighbourhood House have officially launched the second location of the Attic Thrift Store. 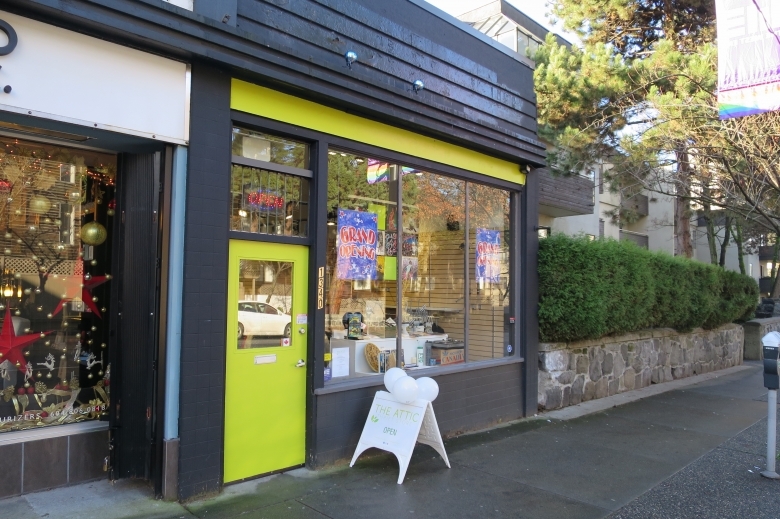 The new storefront will support increased awareness for the Gordon Neighbourhood House’s many programs in the community, and provide West End residents with a fantastic, well-curated selection of second hand items. The original Attic Thrift Store, located on the second floor of the Gordon Neighbourhood House, is celebrating its 20th anniversary this year so the timing couldn’t be better for an expansion to one of the West End’s commercial streets. 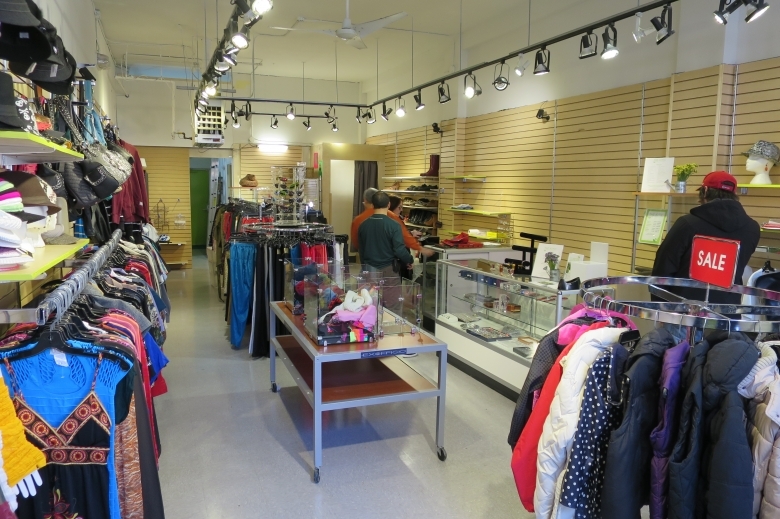 Interested in donating items or volunteering in the West End’s newest thrift store? Contact volunteer@gordonhouse.org. Photo: Volunteers Alan and Buon on the first official day of business at the Attic Thrift Store.